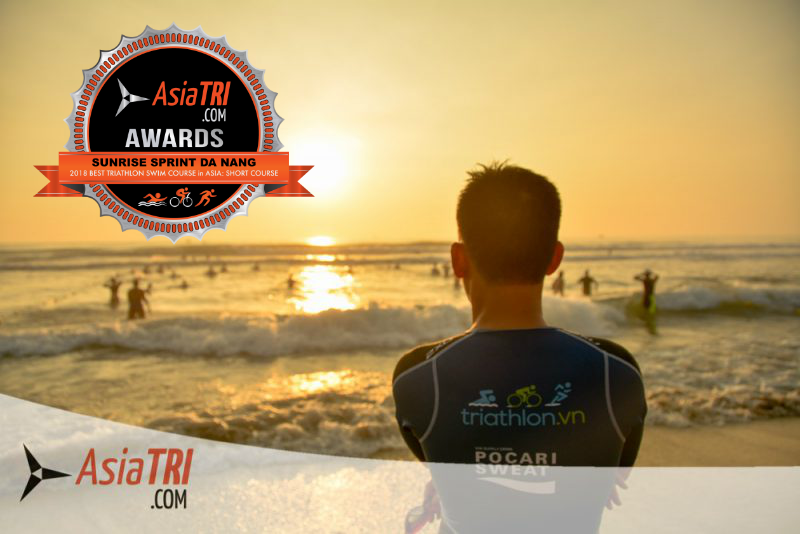 It’s December once again and it is time to unveil this year’s Best Triathlon Races in Asia. Our 2018 calendar had over 70 events in 12 different countries. 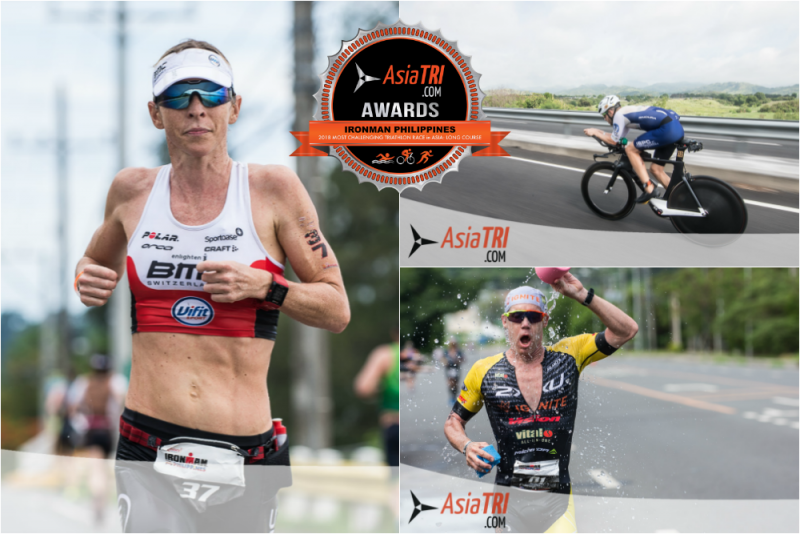 This year, AsiaTRI covered 39 events from all over the world, which included world championships. Of the 39 events our correspondents covered, 33 came from Asia and Oceania region, where majority of our followers are from. No other triathlon media outlet was present in so many races in the region which allows us to create a list of the best races of the year. Most of these events are held annually and we hope you’ll be inspired to read the course reviews, check the best photos, and sign up for the 2019 editions of the race. 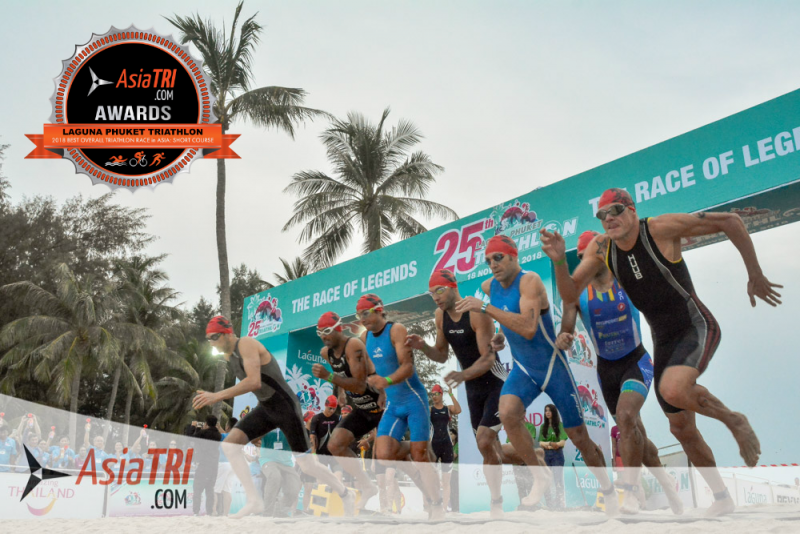 This year, Laguna Phuket Triathlon celebrated it’s 25th anniversary, and as part of the celebration the organizers added a 25km for 25 years sprint distance triathlon, giving beginners a chance to race in one of Asia’s most iconic race. 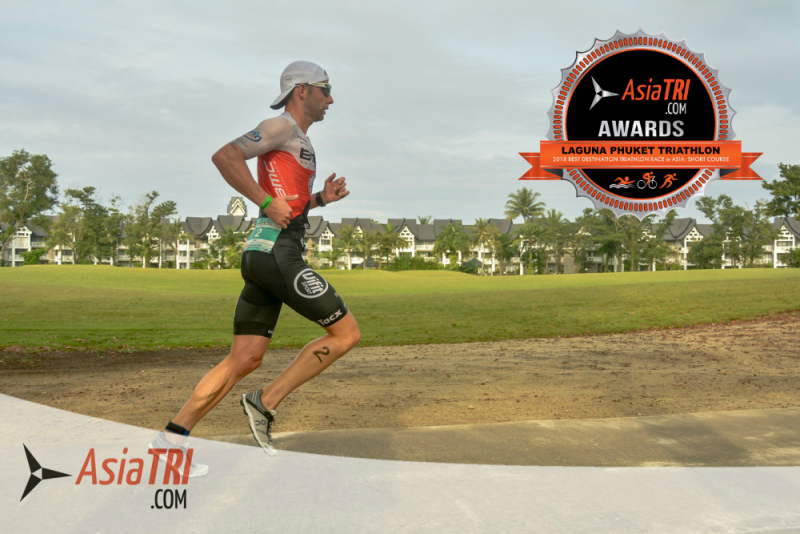 For 25 years, Laguna Phuket Triathlon held its value as a fun and challenging race. The swim course is unique, an open water swim that would transition to Laguna Phuket’s freshwater lagoons. An improved 50km bike course on a scenic and challenging tour of northern Phuket with the famous Naithorn Hills as the ultimate challenge. And the run course around the beautiful resort complex. And the event supports the professional athletes as it gives out $20,000 usd prize purse, one of the highest in Asia. One of the biggest triathlon race in Asia in terms of participation, more than 2400 triathletes joined the 2018 edition, a large number with the 70.3 race also held on the same day. 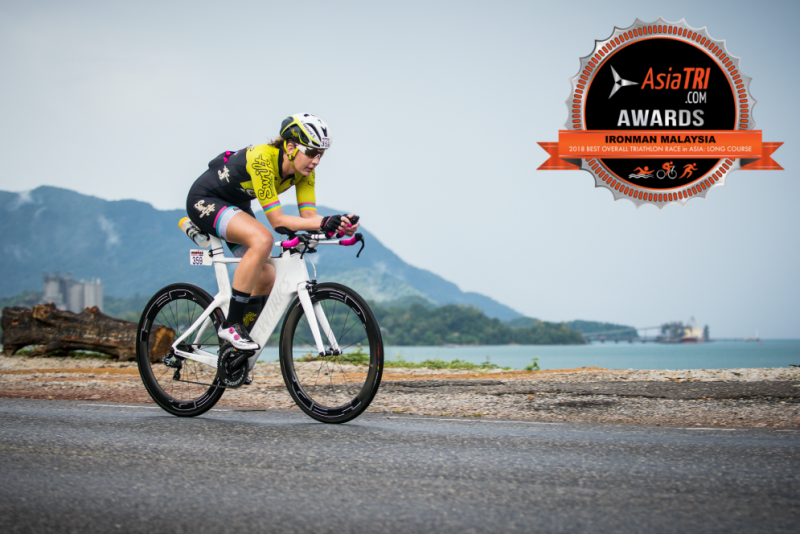 Ironman Asia did a great job logistically in putting up a race where T1, T2 and the finish line are held in different venues spread out across the island of Langkawi. The swim course was held on The Dana, a luxury resort located at the tropical beach lagoon at Pantai Kok with clean protected waters greatly enhancing the athlete experience. The bike course rolled throughout the island of Langkawi, with a mix of rolling hills and false flats, scenic forest covers where you can even encounter monkeys on the road and coastal views. The run course is beside the airport runway and the beautiful beach of Cenang, and the multi-lap leg allows you to pass through the cool air-conditioned Transition 2, housed in a big convention center building. For every lap, you get to pass by the finish line area in the luxurious Meritus Pelangi Resort & Spa, where family and friends can cheer and wait for your finish line moment. The quick access to the airport, affordable options in food and accomodation, and the ability of the event to attract bigger delegations (where a teammate has options to race shorter 70.3 event) are major pluses to an already well-organized event. 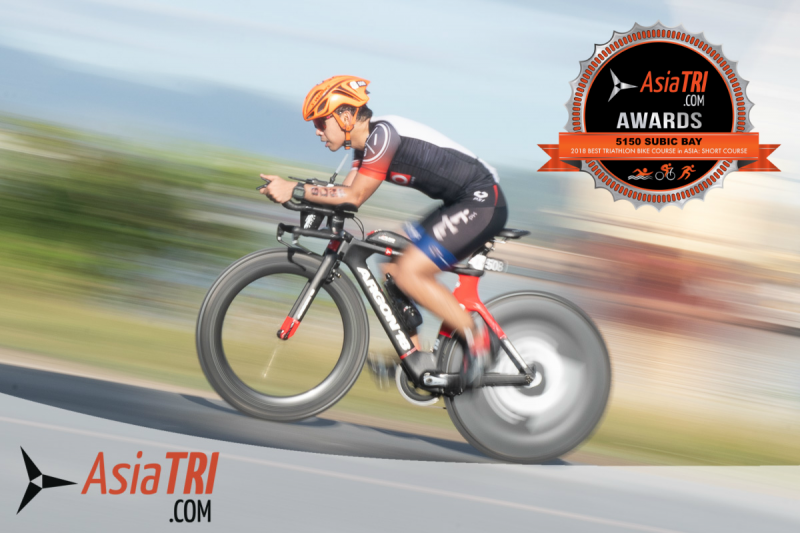 Adds up to the overall athlete experience and this is why it is 2018’s Best Triathlon Race in Asia for the Long Course category. 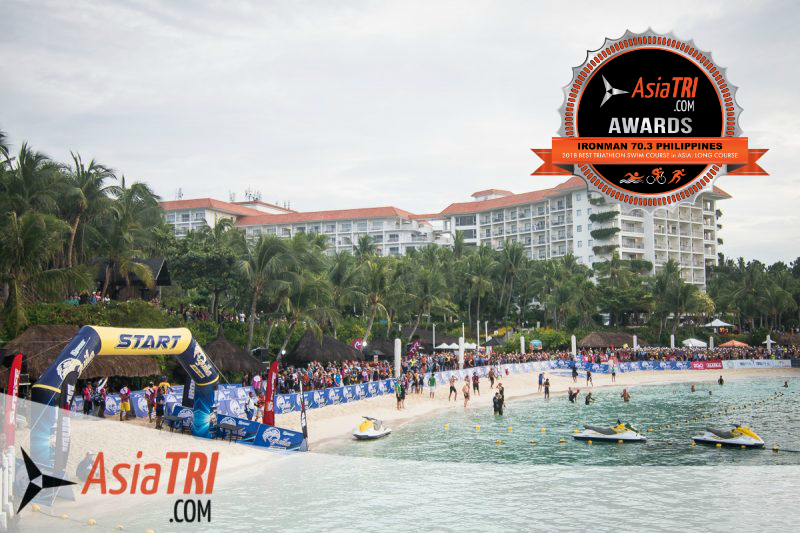 For the 3rd straight year, Laguna Phuket Triathlon is the most challenging short course triathlon race in Asia. A look at the elevation chart mimics a wild ecg chart. At least eight major climbs, and not counting the short and rolling kinds. The changes made to make it a safer bike course shortened it to 50km, but now you have to climb the steepest parts on the final kilometers, and on tired legs at that. The swim and the run course remains exactly the same and they both also have its own challenges. The first half of the swim is held in the beautiful waters of Bangtao Beach, then you run another 100 meters across the beach to dive into the resort’s lagoon. This is a challenge since the ocean water has a higher density than the lagoon (or a swimming pool), so there is a sinking feeling for the first few hundred meters of the next swim section. The run is mostly on the golf course and its undulations are not significant. The only special consideration for this course is the terrain, as the mix of grass and dirt road makes it a bit slower compared with a hard surface. If you are looking for a short course race and a challenging course, this is our recommendation. The inaugural Ironman Philippines is the hardest long course triathlon race in Asia for 2018. The finish times back it up. Winner Nick Baldwin of Seychelles won in 8:50:13, a good 40-50 minutes slower compared to a finish time in a relatively fast Ironman course. Translate that to the average age grouper, and the course difficulty will result in 2-3 hours slower times. What made this race the hardest in the long course category is the estimated 2000m of total climb in the 2-lap bike leg. Leading to the the SCTEX portion of the course, riders will have to share the road with vehicles inside SBMA and TIPO highway. The first test is the long climb in TIPO highway before approaching the freeway. Once in freeway, riders will enjoy a closed 2 lane course, no technical turns and mostly straight roads. The difficult part is the heat, wind and the long climbs. The run course is a simple 2 loop out and back course, with only the climb at airport road providing the hardest part. What will test the mettle of the athlete is just the searing heat, around 40 degrees, and the humidity brought about by rain beforehand (heat rising from ground). The organizer did a great job in placing the hydration and comfort station at 1-1.5km apart. Those “Buhos” or dipper showers provided in every stations are a major relief. While the full Ironman category is not listed on the website, you can still experience the exact same course with Ironman 70.3 Subic Bay. The TriFactor series has been going on for 10 years now, originally from Singapore, and has expanded its series to other Asian countries. It’s biggest event of the year happened in Quzhou, China, and it is the organizer’s (Orange Room) inaugural event in China. Backed by the city’s government sports’ bureau, the event was a success with over 400 athletes competing in various distances. Participants came from mostly 20 Chinese provinces and cities, and foreign athletes from 17 countries. Athletes got to swim in the Qu river, and the transition is near the famous Quzhou Shuiting Gate. The bike and run route were along the Qu River and visited the new and old urban areas such as ancient city wall of Quzhou, the Lixian Bridge and other historic sites of Quzhou. 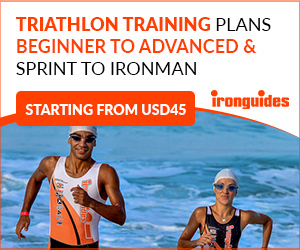 With a race that organizers carefully planned to the detail, working closely with Ironman Asia, and observing the other races in the region, Ironman 70.3 Colombo nailed the execution, coming back strongly after the one and done Ironman 70.3 Sri Lanka in 2012. The course is opens up with warm, calm waters with an average temperature of 24-27 degrees Celsius. A fast and flat bike course made for breaking personal bike leg records and a scenic run course through the city and along the Indian Ocean. The race venue make it a great experience to the participants, and many athletes broke their personal records on race day (especially on the bike leg!). Colombo is a relatively small city but has plenty of conveniences and attractions. Perfect for those looking for a new race in Asia! Da Nang beaches are known for their clear water and fine sand. Whether you signed up for the 70.3 or Sprint category, you get to experience swimming in one of the nicest city beaches in the world. This year, Challenge Family held two Challenge races in Taitung, Taiwan. The April race is Challenge Taiwan and the November race was tagged as the Challenge Asia-Pacific Championships. At both events, participants gets to race in one of the most-scenic bike courses in Asia, an undulating course with smooth roads and plenty of scenery to keep you company. You can choose between the soaring Carp mountains or the view of the spectacular pacific coastline. Winds will be a factor, but the smooth roads makes it a truly enjoyable ride. The new course that was adapted last year’s run leg is one loop for both sprint and Olympic Distance events. The elevation profile is all flat, and runs through Sanur village with only a 200-meter segment at the beach. Athletes still enjoyed the Balinese flavor by running past several local temples, beach and the local town, while enjoying a fast course. Ironman 70.3 Bintan is still one of the must-go destination races in Asia and its 2-loop run course that is mostly flat, and runs mostly around Bintan Resort’s Lagio Bay Lake contributes to that statement. Scenic backdrops and manicured greens along the run path are staple on this course. The designated spectator zones makes for a nice boost of morale for all athletes. Challenge Family’s first race in Hong Kong is an Olympic Distance event and easily, we judged it as the most convenient short course race in Asia. Hong Kong is truly an international gateway and getting there from other countries would not be difficult. With the race venue in the beautiful county park of the Plover Cove Reservoir, it is only 1 hour away from the main city center of Hong Kong. And with the event a standard distance, it is very easy to pack it up after the race and still have energy to go to your preferred tourist attractions in Hong Kong. 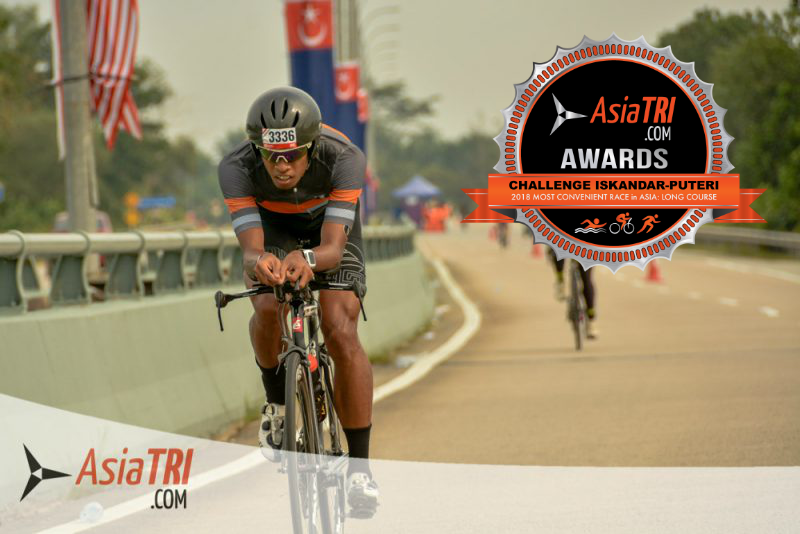 In terms of accessibility due to the sheer number of available flights to and from Changi Airport in Singapore, this would be the most obvious choice if you will be racing Challenge Iskandar-Puteri. Most athletes flew to Singapore, then took a one-hour drive to the race venue. One can actually see Singapore from Johor Bahru and there are many of Malaysians who work in Singapore and do this commute on a daily basis. Also helped a lot that organizers helped athletes to book transfers from Singapore International airport to the race venue, you can organize on your own or contact them when registering for the race. With its race course, Challenge Iskandar Puteri could also be the fastest half-distance race in Asia. 2018 winner Matt Burton (AUS) finished with a time of 3:42, and a fast 2:01 bike split. With this race, if you want a convenient fast-in, fast-out to get your fix of long distance racing, this is the way to go. Laguna Phuket is a multi-hotel complex only a short drive from Phuket International airport. while you are racing your supporteRs can enjoy the beach and other local tourist attractions while benefitting from the Laguna Phuket shuttle services. Supporters have the chance to watch you in between the ocean and lagoon swim, then on the multi-loop run course. Once done with the event you can spend the rest of the day at one of Phuket’s famous beaches before hitting the famous awards and celebration party. Destination races are a mix of everything great and good when you race abroad. Superbly-organized race that gives the natural high when you finish, and the experience you always seek as a triathlete. A location that offers a multitude of options to maximize and enjoy your stay. 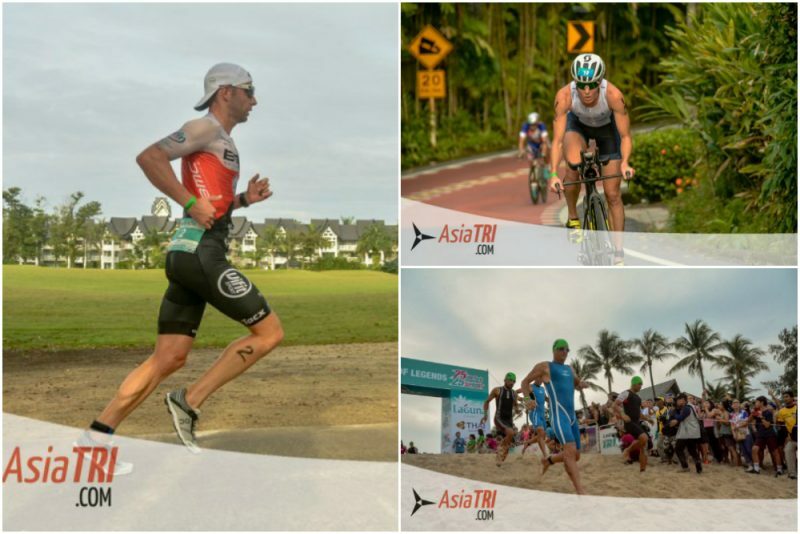 Laguna Phuket Triathlon offers all of that and more. Beautiful and scenic beach resorts that you and your family can enjoy. World-class organization, from running the technical aspects of the race up to gracious athlete support in terms of transfers, communication, and feedback. The team of Metasport are experienced in terms of putting up an high-quality event, and that shows in this Ironman 70.3 race. The race course is one of the best in Asia, and at one point has won the best in swim, the best in bike, and the best run course. 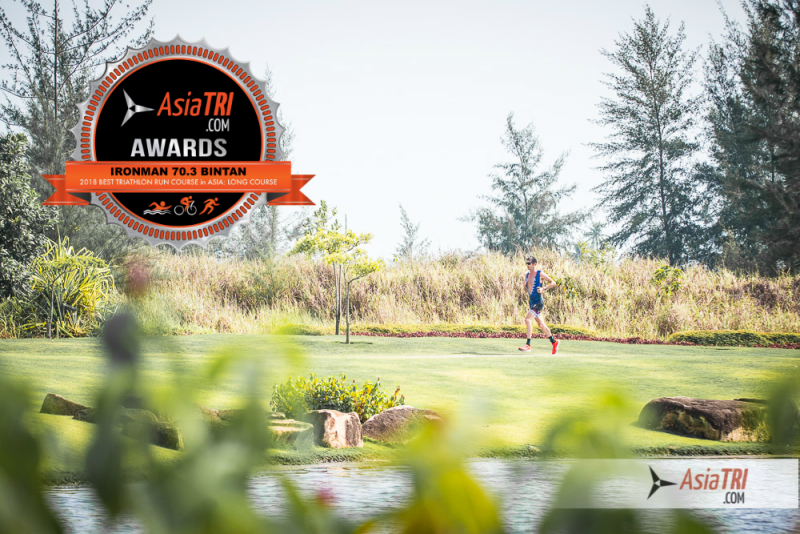 It is just fitting, to highly recommend Ironman 70.3 Bintan to our followers as the best destination race-cation in the long course category. 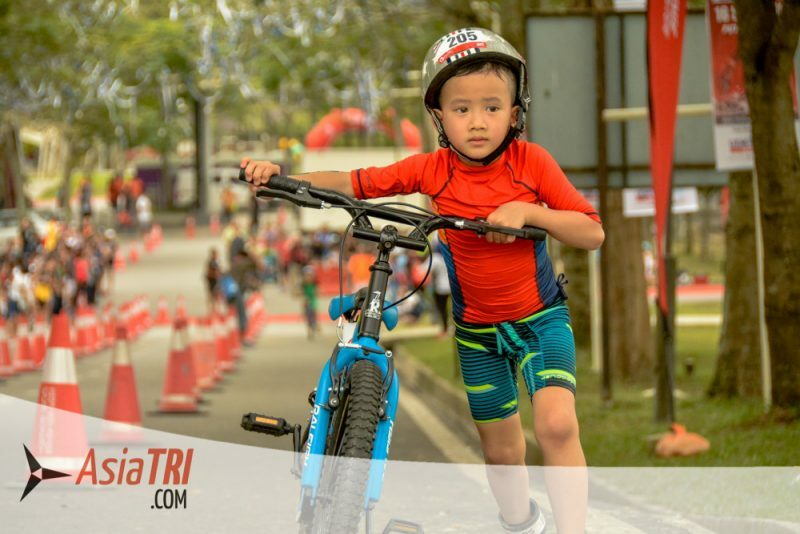 If you want to race and do a family vacation at the same time, The TRIFACTOR series race in Singapore is perfect for your plans. Singapore’s airport, Changi, is one of the best and busiest in the world, and has direct flights to and from most major cities of the world. Best scenario is you never transfer from one hotel to another to visit Singapore’s top tourist attractions right after the race. Your family will enjoy Singapore’s top attractions, from Sentosa island to Universal Studios Singapore. 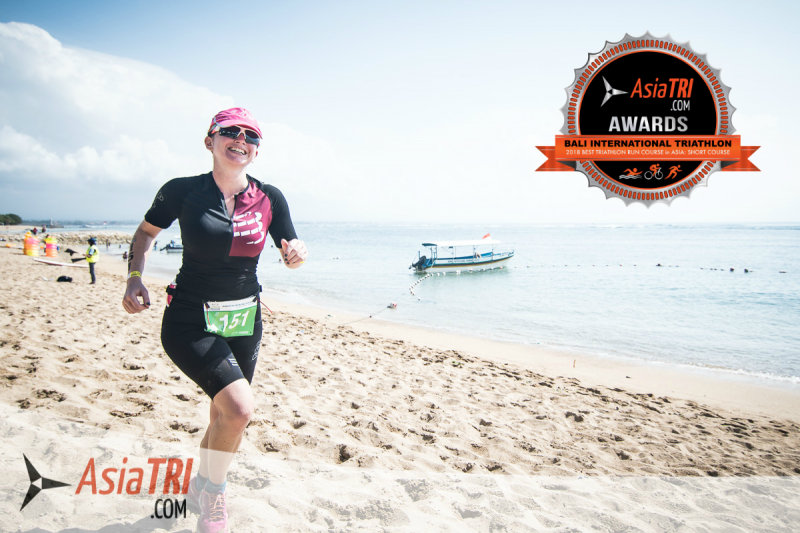 The TriDash Triathlon Series in Thailand is perfectly suited for newbies. A mini-sprint for a triathlon (400m swim-20km bike-5km run), check. 50m pool for the swim, check. Bike and run courses that are not challenging and technical, check! 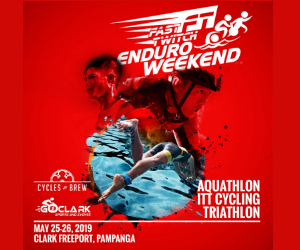 If you wanna get your feet wet in the sport of triathlon, this is the race series to target for. For most newbies who have not race a triathlon yet, the biggest fear and hurdle is always swimming in open water. Swimming in a pool definitely eases up the nerves. 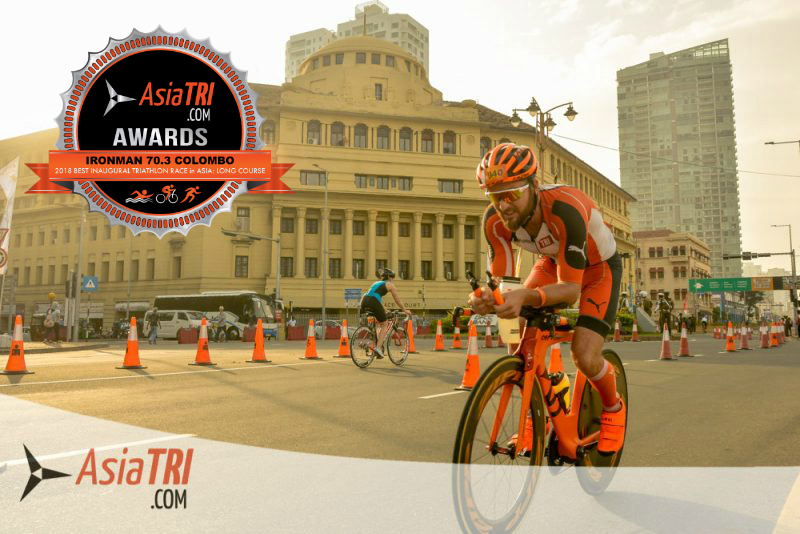 If a beginner at middle or long distance triathlon races is to target an event in Asia, this could be it. Asians are not particularly well-adapted to swimming, and are late bloomers at it so a current-assisted, wetsuit-legal swim will surely make things easy and fast. The two loop bike course has a stated total of 546m in elevation climb, so it is rolling course, but pretty manageable for beginners. What makes it safe is the closed 3-lane highway which should be a huge relief for everyone else. Nothing too technical on the bike course too so beginners would have it easy. Run course is mostly flat and has plenty of aid stations, with a placement for every 1.5km, which should be enough for all level of athletes. This makes it as a highly-recommended long distance race for beginners. 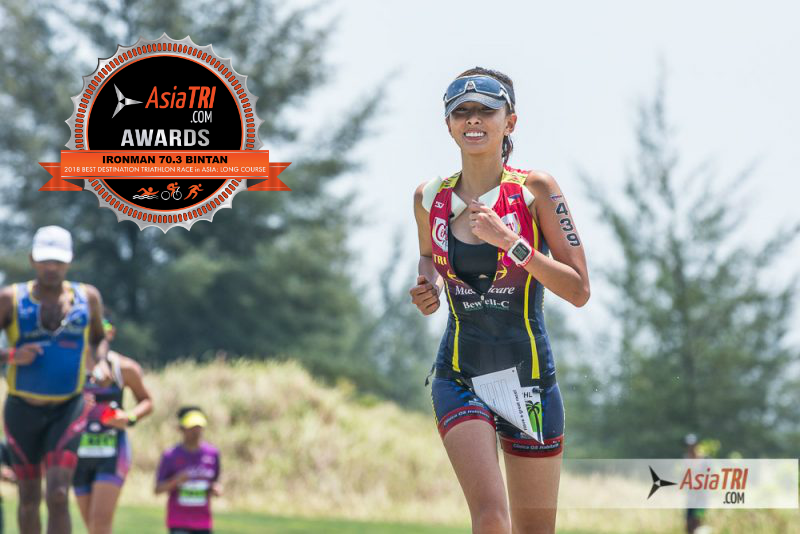 With race being awarded the 2019 Asia-Pacific Championship race, it just asserts how the 2018 race last September lived up to the expectations of off-road triathletes. Kenting National Park at the southern end of Taiwan is an idyllic outdoor sports paradise, renowned for it’s rugged mountain terrain, white sand beaches, caves, and coral reefs. Powerman Malaysia is again the world’s largest duathlon event, with the 2018 race attracting more than 3,700 athletes representing 41 countries. The host venue is Putrajaya, Malaysia’s federal administrative centre and planned city. The infra-structure is incredible and on the weekends it becomes a ghost town, with 3-4 lane highways and almost no vehicle in sight, making it a perfect venue for multisport events. Another convenience of this event is its proximity to Kuala Lumpur international airport, and is only a quick twenty minute drive away. The most convenient location to stay is right by the start and transition area, this avoids the need of transportation on race morning and on day before for registration and bike check in. The 2019 race will be held on March 3, 2019.